Ty Cameron is a recently renovated old stone barn includes the latest ‘Green Technology’ reusing many reclaimed bricks and timber. 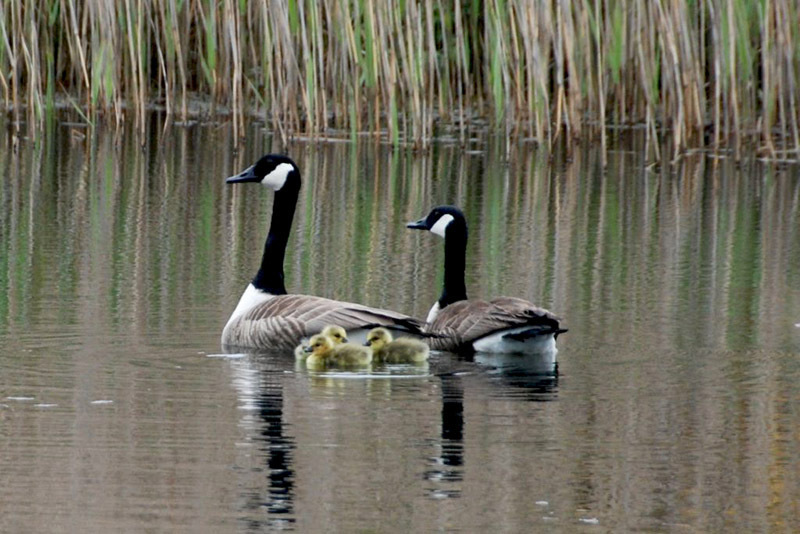 It is set in a rural location within 5 acres of grounds including a lake and teeming with wildlife. Children must be accompanied at all times in this area and no dogs allowed. 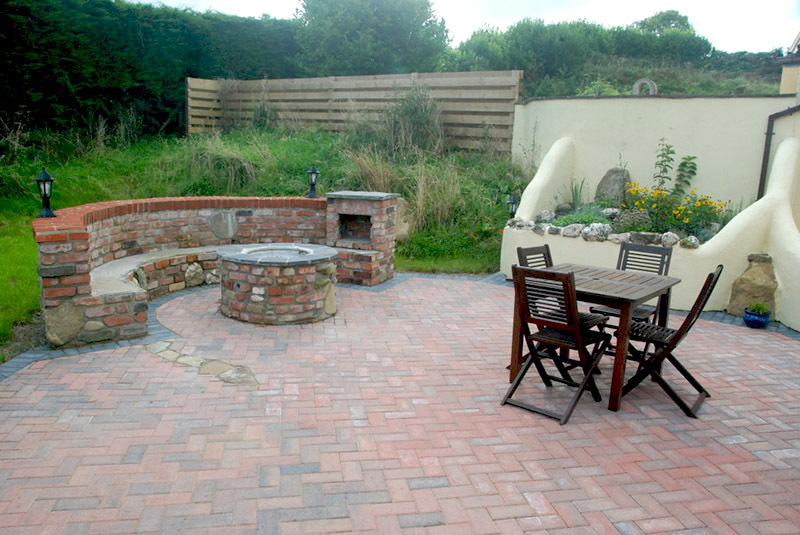 There are two other cottages (both with hot tubs) and the owners home within these grounds but all have privacy in mind. 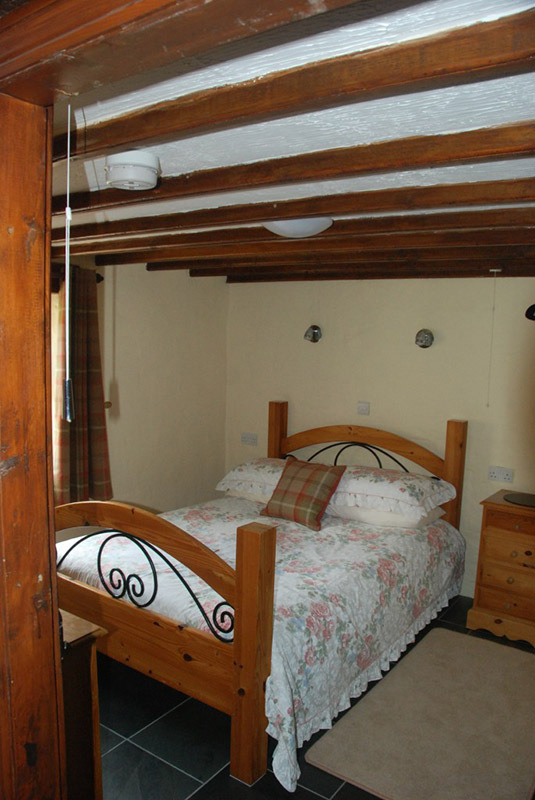 It is an ideal setting for families if they wish to book more than one cottage. 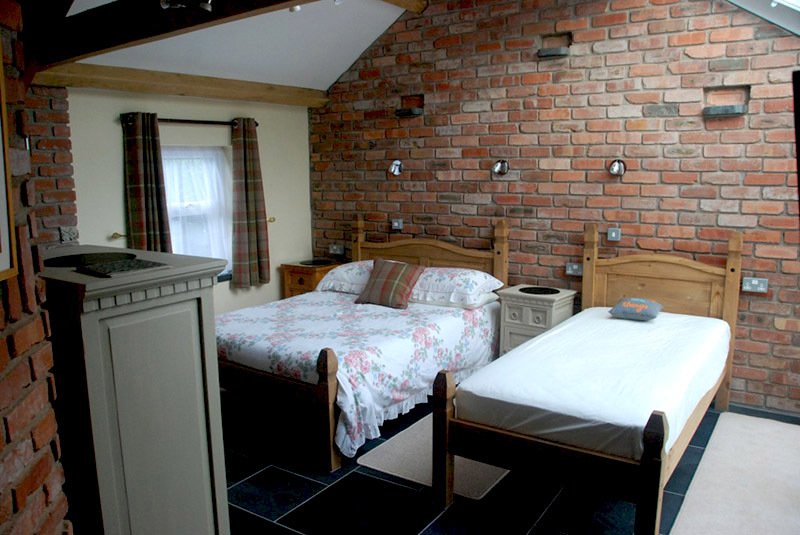 Ty Cameron’s bedrooms are on the ground floor, both en-suite with walk in showers. 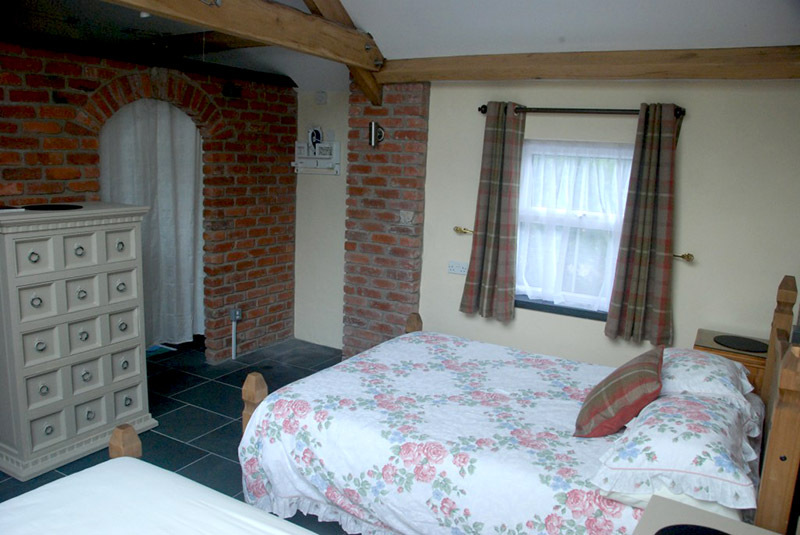 One bedroom has a double bed and the other a double and a single bed. 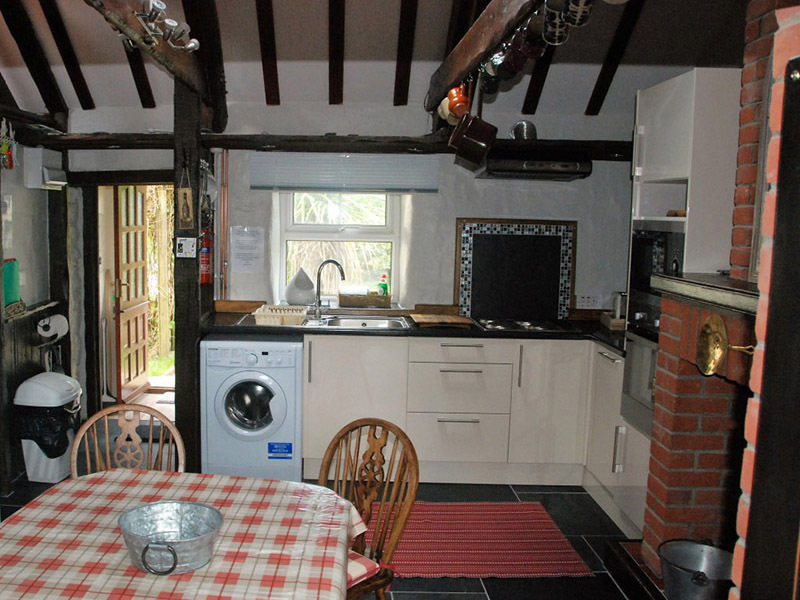 There is an open plan lounge and a kitchen which is fully fitted including dishwasher, washing machine and fridge freezer. 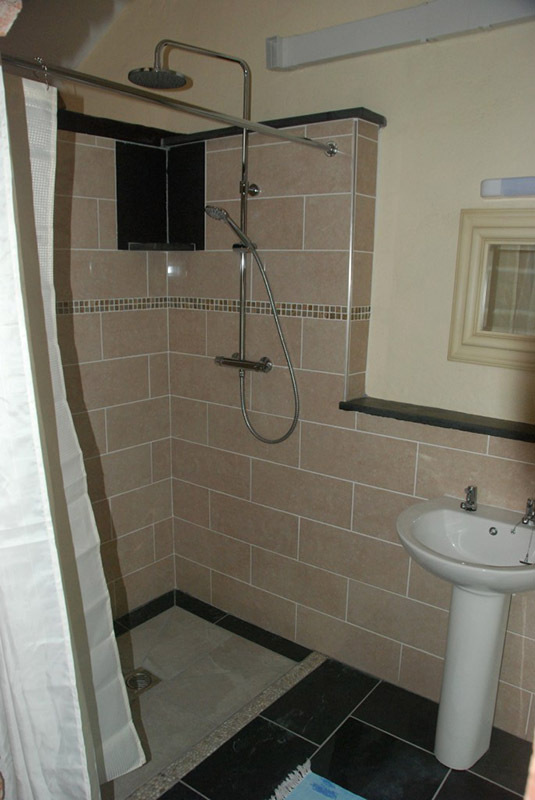 The whole property is furnished to a high standard. 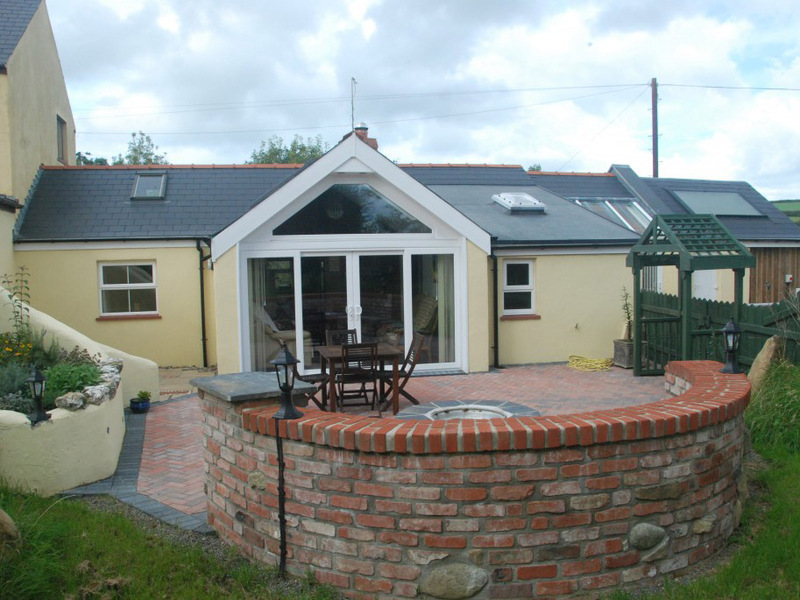 There is underfloor heating throughout the cottage run from an air-source heat pump, electricity to run this is generated by solar PV cells, also solar hot water panels – all this means the cottage has achieved an A+ EPC certificate. There is also a small wood burning stove in the lounge area. 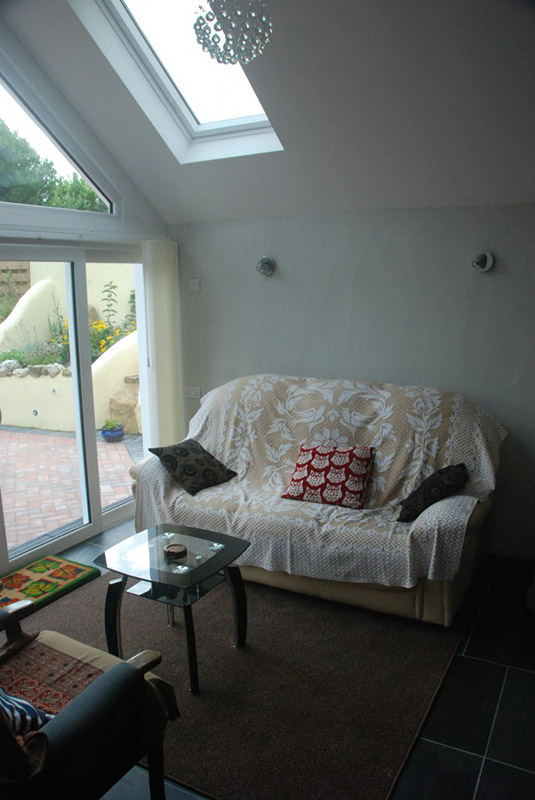 Off the lounge is a huge south facing full height patio doors leading onto your private terrace with a BBQ pit and small fenced garden, safe for dogs and young children. Plenty of parking space beside the cottage. 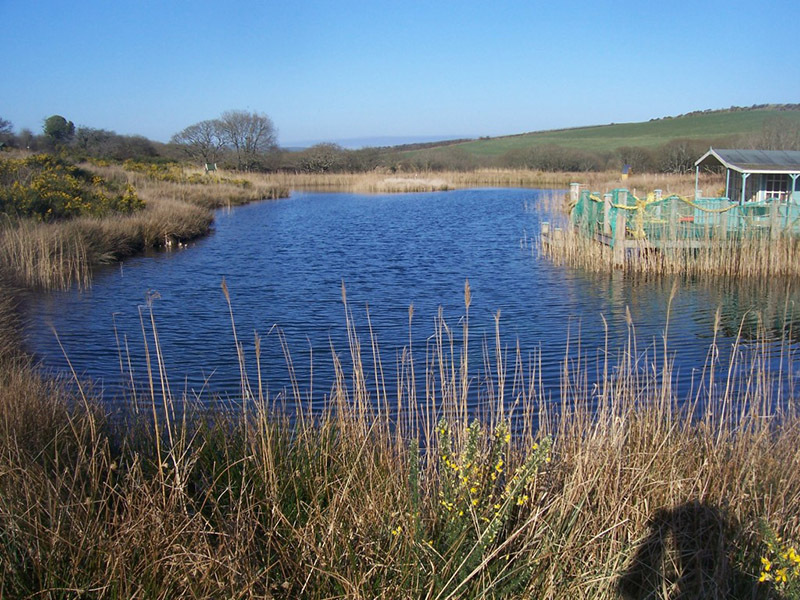 The railway station and ferry for Ireland are both in Goodwick/Fishguard which is only a short drive away. 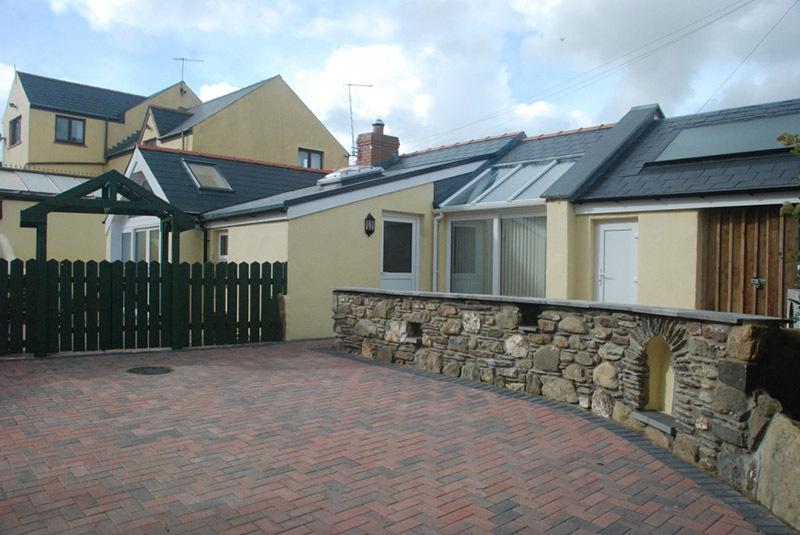 There are many places of interest, the small city of St Davids is approx 10 miles away and the coast path and small beaches of Aberbach & Abermawr are only 3 miles away. The Stumble Head peninsula, which is popular with bird watchers. Seals and porpoises are often spotted from here which again is only a few miles drive away.